One Piece Chapter 924 was really a good chapter and it also shocked a lot of fans that Oda ended the Wano arc part 1 so smoothly. Like when we were actually getting into the chapter, Oda just closed the curtains and ended the arc. I was really absorbed into the chapter and was looking forward of Luffy’s reunion with Captain Kidd. Yes, after so many months, we are finally seeing the notorious Captain Kidd again in One Piece. The chapter started as Luffy lying down unconscious while Kaido is making fun of him. 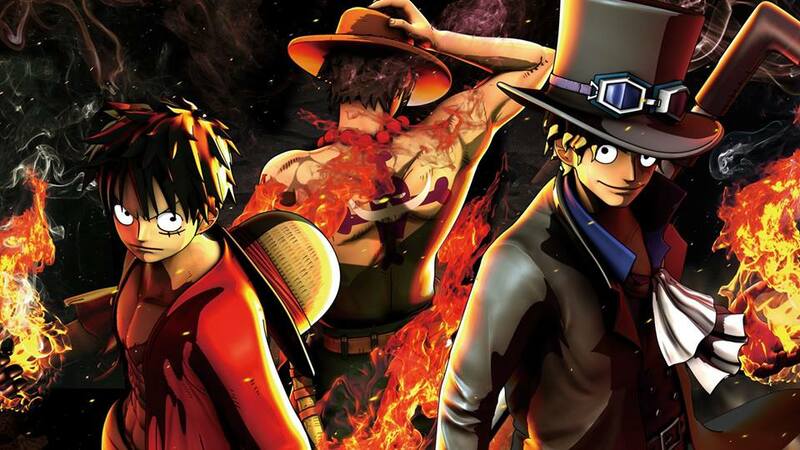 Just as Kaido ordered his men to imprison Luffy and said that he will become a very good soldier in the future, Luffy unconsciously used his Conqueror Haki and knocked out some of his men. Here, Kaido revealed that Luffy has the same haki as that brat, ‘Kidd’. 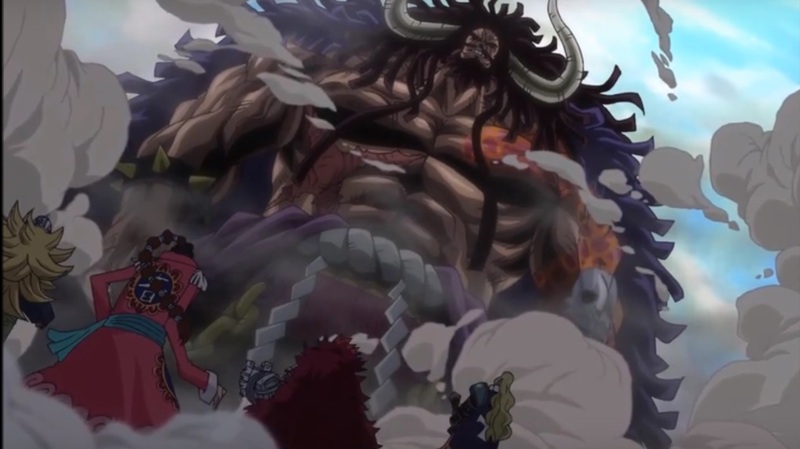 This is the first time it is revealed that Captain Kidd also has the formidable Conqueror Haki. 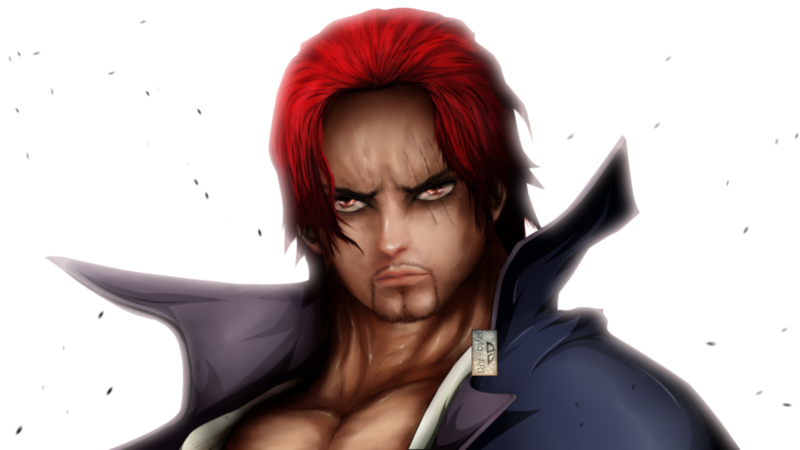 He also goes on and says that this world really doesn’t need these many people with Conqueror Haki. He wants to break both Kid and Luffy’s spirit and turn them into his soldiers but we all know that won’t happen. 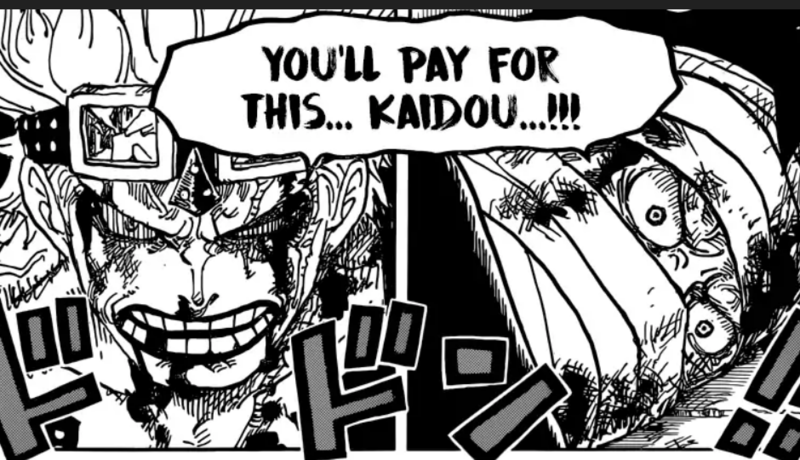 It is also funny that when Luffy is thrown in the cell in the last page, he and Kid says the same line, “You’ll pay for this.. Kaido!” and then realize that both of them are in the same cell. It was really hilarious and a good ending. 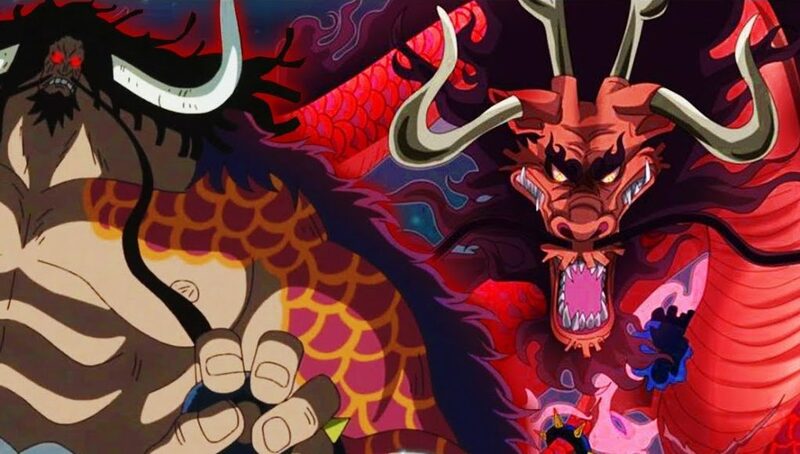 In this One Piece Chapter 924, we also got to know that Kaido’s army is using the Wano blacksmiths or craftsmen to create special sea stone weapons. You all know that Sea stones are the worst nightmare for a devil fruit user. 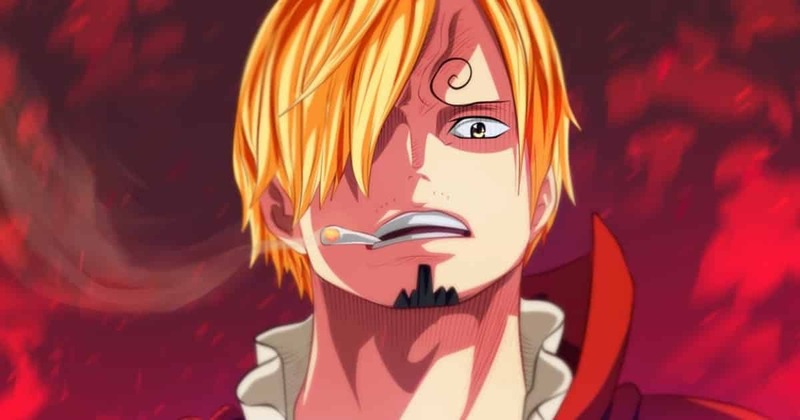 It seems that they are preparing small precise weapons like nail gun or something which they can use against Devil Fruit users to neutralize their abilities. It is really a deadly weapon in the world of One Piece. Also, we got to know that Kaido didn’t kill Tama. I think he was too drunk to realize that she survived or something. She is in a very critical state but it was shown that she was saved by the Minks. Other than this, the chapter contained the reactions of Zoro, Franky, Robin and Usopp when they saw Luffy entered Wano, created a huge scene, attacked Kaido and then in the end got caught and imprisoned. Their reactions were really hilarious. Next story Fans Voted For The Top 10 Moments From Dragon Ball Manga! Previous story Is Ultimate Super Saiyan Broly Stronger Than Full Power Jiren! ?